Clinically tested to reduce excess surface oil by up to 47%. 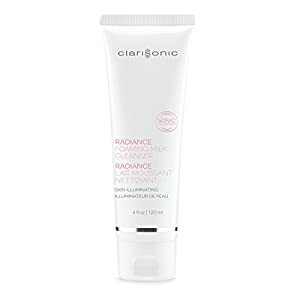 The Clarisonic Pore & Blemish Cleanser targets excess oil, pimples, blackheads and white heads for clear skin. Clinically tested to reduce excess surface oil by up to 47%. This foaming cleanser milk contains Licorice Root extract, Peppermint Leaf extract, and Gingko Bilbao Leaf extract to help transform dull, uneven skin into a more radiant complexion. Formulated to be use with Clarisonic device and Radiance brush head.